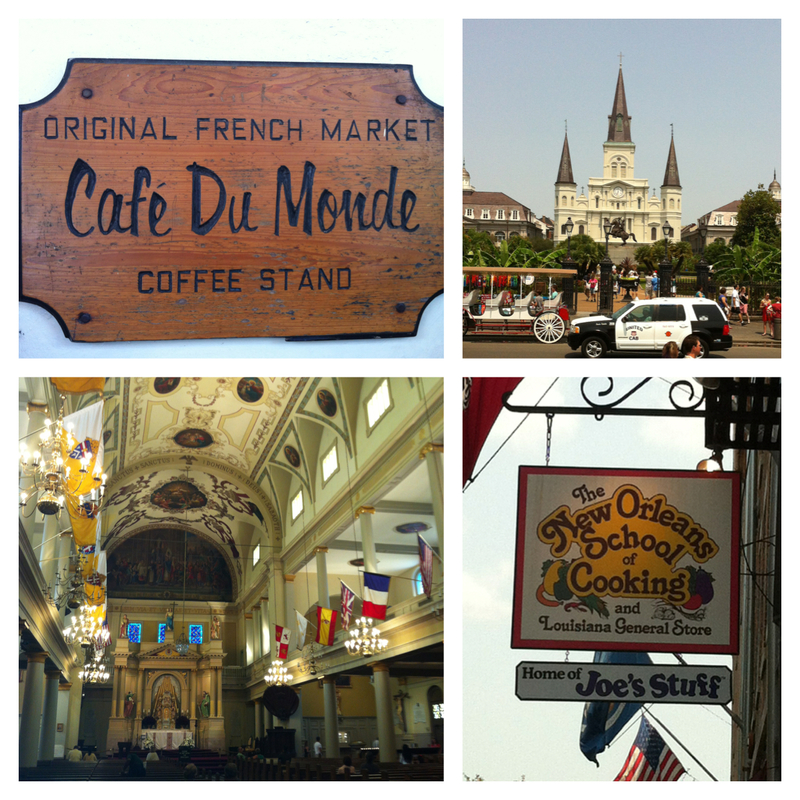 Brunch N' Cupcakes: New Orleans Recap... Just A Few Days Late! New Orleans Recap... Just A Few Days Late! Well I am back from my long weekend adventure in New Orleans! I know I am really behind in getting this post up! I feel like my week has been getting away from me, work has been super busy! But lets get to the fun stuff and talk about the wonderful weekend in New Orleans! New Orleans was a good time, the city is very interesting! I had a fabulous time catching up with good friends, and celebrating the marriage of two wonderful people! ! The weekend was spent wandering the streets of New Orleans, experiencing all that the city has to offer! From food, to the night life I felt like we saw it all! I think there is nothing better then walking the streets of a city. You get to really experience the city if you walk everywhere! Most of Saturday was spent just wandering around, seeing the sites! 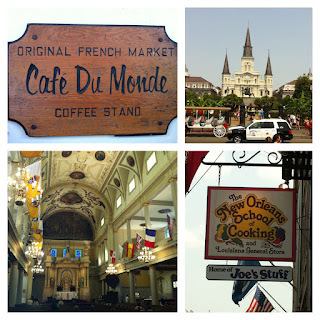 We visited the Historic Cafe Du Monde for Coffee and Beingnets, right next to the lovely Jackson Square. And the beautiful St Louis Cathedral. Saturday we also enjoyed some authentic New Orleans cuisine at Mother's! The food was wonderful, I love me some red beans and rice! where we stuffed ourselves with fabulous desserts and laughed the night away. Later on we experienced all the Bourbon Street has to offer! I cannot even imagine how crazy Bourbon Street is during Mardi Gras! Sunday was low key, a wonderful authentic brunch and Brennan's complete with Banana's Foster (which was originally created and Brennan's in the 1950's) and mimosas! Right after brunch we headed back to get pretty for the wedding! The wedding was beautiful, and elegant! It was wonderful to be able to celebrate the marriage of my sorority sister! She was one of the most beautiful brides! We all ended up dancing the night away! And check out their awesome grooms cake! There had to have been at least 50 Butler Alums there! 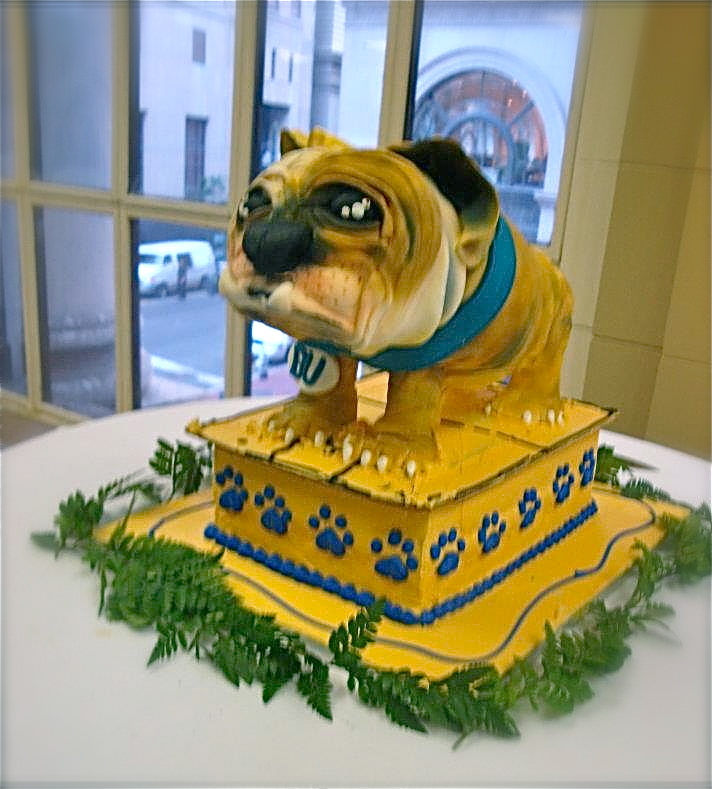 All of us Butler Alums gathered for a picture with the grooms cake, and guess what it is going to be in the Butler Magazine! Our night ended with a New Orleans Tradition called a Second Line! A second line is where the Bride and Groom lead everyone at the wedding through the streets of New Orleans! There is a band playing, and everyone at the wedding waves white hankies! It was the neatest experience! The cops blocked off Bourbon street for everyone to walk down, and people stopped to take pictures! I have to say this was my favorite part of the weekend! I have to say I was sad to see the weekend come to an end, because it is always hard to leave good friends! But all in all we had a blast, and made more wonderful memories! it looks like you had a fun time. I've never been to New Orleans but it looks awesome! 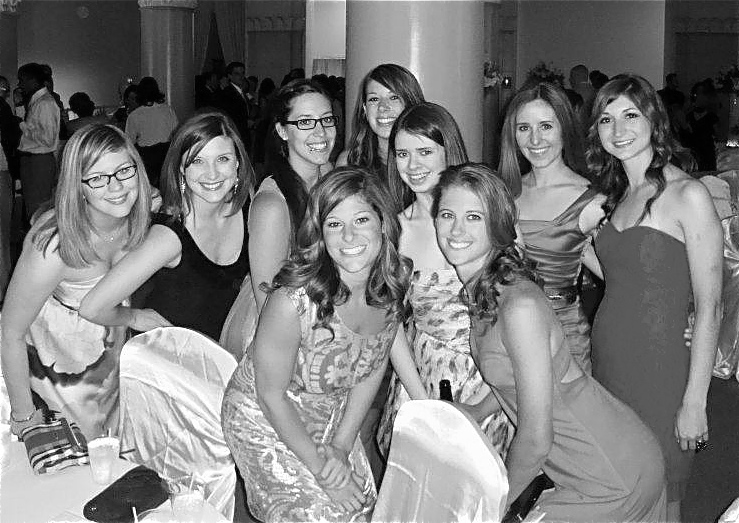 Looks like the wedding was a lot of fun! So cute! Love seeing everyone's photos from their big day! Great pictures! That brunch looks fantastic! wow, you hit a lot of the great places! mr. b's is sooo good! and aren't second lines so much fun?!? so jealous of your trip and makes me want to go back to nola myself! How fun! That looks like an amazing wedding! How much fun that we were there at the same time! We hit a lot of the same spots, just a day apart. We didn't make it to Cafe du Monde or Brennans - next time! Such a fun time and I, of course, love that groom cake! Great pictures! Looks like an amazing time! The wedding looked beautiful too! I hope to visit New Orleans one day!